Written by: Karan Saggi, CMC ‘14. Karan holds a Bachelor’s in Economics and Leadership Studies from Claremont McKenna College. He writes about leadership, Industrial-organizational psychology, and nonprofits. Currently, he serves as the Director of Educational Partnerships at TryMyUI where he builds engagement between higher education and the UX industry. Sportsmanship transforms individuals. Teamwork, discipline, and trust are only some of the traits expected of a committed sportsman. Right To Play, founded by Norwegian Olympic speed-skating champion Johann Olav Koss, uses the transformative power of sport to educate and empower children facing adversity. Koss’ vision and leadership have received global acclaim, including the 2013 Kravis Prize. The organization successfully delivers quality education and health by infusing play into the lives of underserved children. Recent research looks into the possibility that sports could lead not only to personal transformation but also to national reform. There is more to the story than what the short film portrays at first showing. On screen, 175 grams shows youth stepping away from the troubles of underserved communities to indulge in one common passion of sport. In return, we watch as they hone their skills of team play, communication, and integrity, and in fact, develop competencies of authentic leaders. A few minutes into the film, we realize how play can be instrumental to national reform. Similar results are seen in the impact of Right To Play. With both 175 grams and Right To Play, we see boys and girls play and grow together. Between the adrenaline rushes of each Frisbee throw or ball toss, political and social issues of class, gender, or race diffuse and eventually disappear. In its stead, we see equality in gender roles, trust amongst teams, and transparency in action. All players respect the candid calling out of fouls or breaking of rules. Institutions have much to learn from this behavior. The character of these youth, if replicated into their workforce and lifestyle off the field, could transform institutions to be less corrupt and more honest. 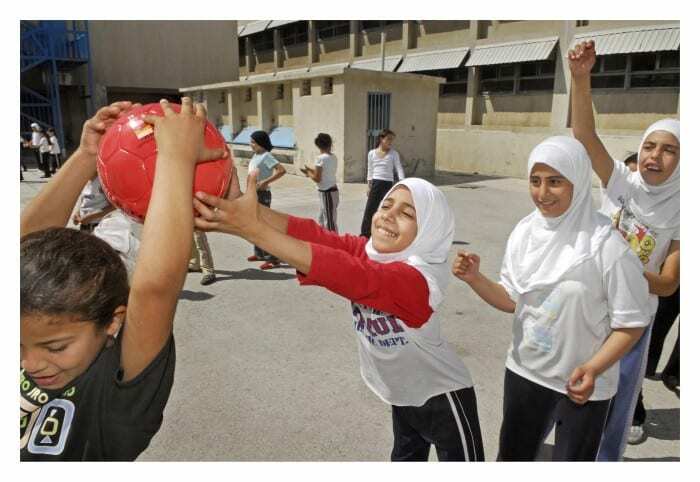 In fact, this transformation may already be in progress in countries served by Right To Play. The impact of the organization is commendable and might be more far-reaching than we expected. Well worthy of global acclaim, it is best praised in their own words: When every child plays, the world wins. Bronson, P., & Merryman, A. (2013). Top dog: The science of winning and losing. Random House.